If you saw this in your email, it is legit, typos and all. There was a post on the forums concerned if it was in fact real or a phishing scam, due to the typos within in. Very pretty wings, I can't wait to get mine! 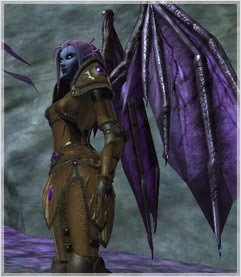 ToV expansion wings, all purple and pretty :) Seems everyone who has the xpac will be getting these. "This was in fact a misspelling, but yes it is a legitimate email.